The aim is to be Fast and Clean, that is, negotiate the course as quickly as possible without incurring any penalty points, Penalty seconds are added on to the overall time to produce a total score. Each competitor has two timed runs and the best time is counted towards the paddlers placing. The course designer’s job is to hang the gates in a sequence which forces the competitor to work out best possible route choices. Within Canoe Slalom there are four categories – Men’s and Women’s Kayak (MK1 and WK1) and Canoe Singles (Men’s & Women’s C1) and Canadian Doubles (C2). 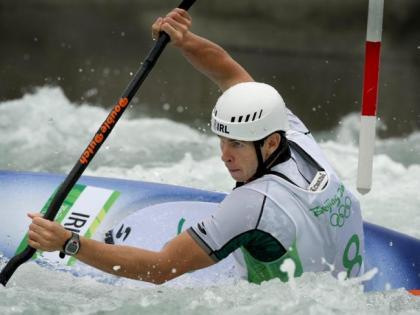 There are a number of slalom training facilities at clubs on the river Liffey, including Wild Water Kayak Club, Salmon Leap Canoe Club, at Templemills Weir, and several other sites around the country. Alterations are often made to natural rivers to create more interesting slalom courses. Where natural rivers do not provide enough power, artificial courses can be made, which pump water through a man-made river channel. Examples include Holme Pierpoint in Nottingham and the Olympic courses in Sydney and Athens. A slalom boat is specialized for their role, being extremely light and manouverable. A plastic version, call the Fox, allows novices to take the challenge. 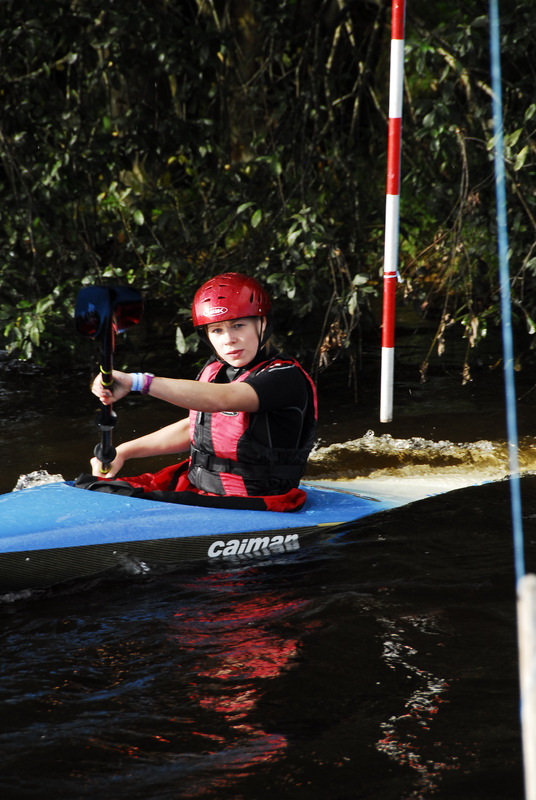 The National Slalom Committee organise events for beginners and advanced paddlers. The domestic slalom racing season goes from March-May and the September and October. The International season peaks in the Summer with the World Cup Series and World Championships being held every year.